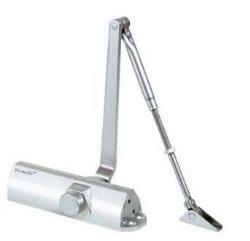 The DC 80 series door closer is a silver finish with matching arm, India’s number one selling overhead door closer. 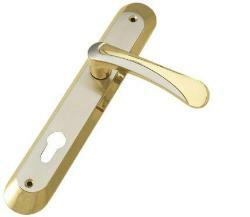 It is typically suitable for offices, school, hospitals and all other commercial properties. 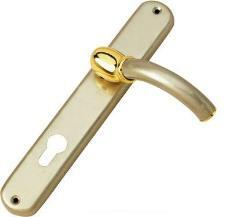 Dorset is a name that has enviable niche in the national as well as international market, and provides products as per Global standards for design and POKA-YOKE ensure superior tool quality. 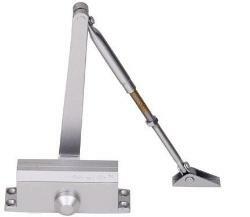 It comes with a rack and pinion mechanism, adjustable closing speed/latch action and a matching silver arm set. It is highly recommended for many light frequency commercial applications (especially fire doors) where performance and reliability is required. Extruded body of aluminum alloy. 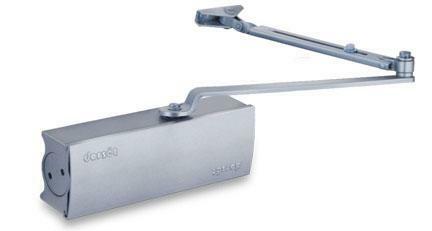 Recommended for Door up to 80Kg. Adjusting valves on the front side. 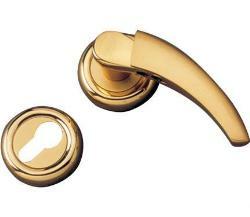 Suitable for both left & right handed opening doors. Special o-ring design seals to avoid leakage. 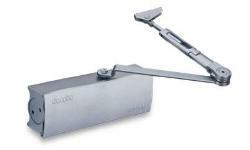 High quality steel rack & pinion construction provides smooth and precise control. Standard body covers in sprayed finish, covering the closer body & mounting screw. Angle of opening up to 180. High Quality oil used to withstand extreme temperature conditions.